The Cobham Rugby and Sports Association, ( CRSA ) is to build a state of the art Artificial Grass Pitch ( AGP ) on the site of an existing floodlit grass pitch for use by the local community. The project is a partnership with the Cobham Free School, (CFS), a state funded all-through school which is relocating to new premises adjacent to the new pitch .The AGP will provide the school with a much needed sports ground adjacent to its new premises. The project will also meet the needs of the CRSA membership, enable the club to expand its community programme to encourage greater community participation in sport particularly amongst the underrepresented sections of the community and will be available to local clubs. Project costs are to be funded by Community Infrastructure Levy awards from Elmbridge Borough Council and further grants from Sport England and The London Marathon Charitable Trust. Cobham Rugby & Sports Association (CRSA) has announced that it will build an Artificial Grass Pitch (AGP) during the summer of 2019. The project has been driven by the Trustees of CRSA who first entered into discussions with Cobham Free School in 2016 when it was announced that the permanent site for the school was to be located next to the CRSA grounds from September 2019, but without any sports grounds. The CRSA has formed a partnership with the school which will enable the pupils to use the new facility during the school day in term time, with the pitch available to the CRSA and the local community including other local clubs at all other times. The provision of the AGP to Cobham Free School will be through a long lease granted to the Department of Education. It will save pupils an eighteen mile round trip to the nearest available pitches , some 1,000 coach journeys each school year – thereby reducing traffic congestion and pollution. Howard Morris, Chair of Governors of Cobham Free School said, “Cobham Free School is very excited to have such a fantastic sports facility available on our doorstep. Sport is such an important part of our overall ethos to promote a healthy lifestyle for our pupils and is fundamental in the delivery of our overall curriculum. It will enable us to provide a broad range of competitive sports and to host matches with other local schools expanding our engagement with the local community. The CRSA’s existing community programme will be expanded and it proposes to actively promote the new facility in the Borough targeting sections of the community where there is underrepresentation in physical activity These include children, (in addition to those from Cobham Free School), women and girls, the inactive, particularly those who are overweight or recovering from illness and the disabled further developing the existing connection with Surrey Special Sports and working closely with the Borough and County Council. 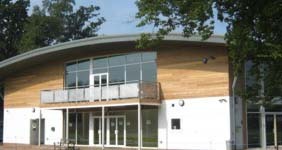 “The Trustees of Cobham Rugby & Sports Association are extremely grateful for the support of the Elmbridge Strategic Community Infrastructure Levy Fund who are providing core funding to cover the building costs and for the funding that has also been awarded by Sport England in November 2018 and The London Marathon Charitable Trust in January 2019 and without whose financial support this project would not be possible. We are also grateful for the support from Councillors, Council officers, Dominic Raab, MP for Esher & Walton, Surrey County Council, the Rugby Football Union, English Lacrosse and the many schools who benefit from the current Community programme. Building of the AGP is scheduled to start in May 2019 so that it is completed in time for the start of the new academic year. 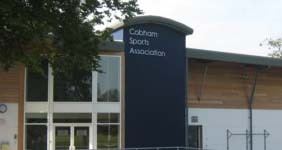 Cobham Rugby and Sports Association (CRSA) is a community sports club and charity ( No:1133497 ) providing community sports including rugby, tennis, netball and Lacrosse with 1400 active playing members and a large social membership based on the Old Surbitonians Ground on Fairmile Lane in Cobham, Surrey. 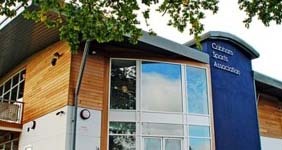 Cobham Free School (CFS) is a non-selective state-funded school for children aged 4 to 18 years, set up as part of the Governments’ Free School Programme. (Free Schools are schools, independent of Local Education Authority control, which offer new provision where there is proven demand and/or basic need in a community). All new state funded schools are now Free Schools. Approximately 90% of the pupils currently on role live in the Borough.